Maximum hydration system for eyes. 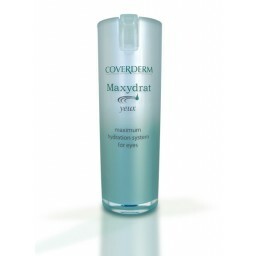 A cream-gel specifically formulated for the fragile around the eyes area. Moisture levels are boosted, skin becomes soft and radiant. Appearance of fine lines is improved. With additional anti-irritant action. 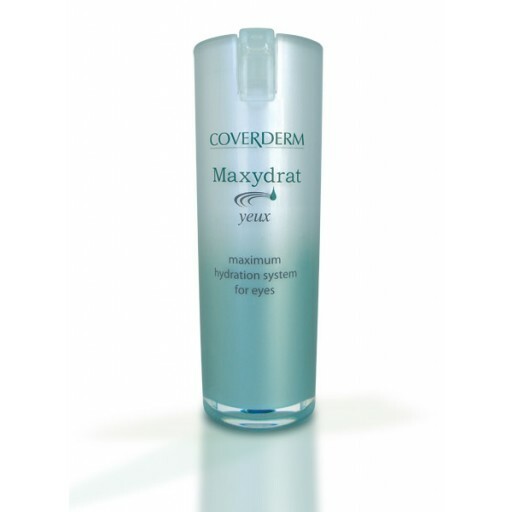 Coverderm Maxydrat yeux - Maximum hydration system for eyes. A cream-gel specifically formulated for the fragile around the eyes area. Moisture levels are boosted, skin becomes soft and radiant. Appearance of fine lines is improved. With additional anti-irritant action. Unique 3-dimensional functionality. Ultra soft, light textured, easily absorbed formula, hypoallergenic, ophthalmologically tested, suitable to all skin types. Apply everyday and experience amazing, long lasting results!